We attach much importance to the best quality print. We hope to ensure that we receive the high-quality images and artwork files for a desirable printing result. Before uploading your artwork, please read this artwork specs carefully. Failure to do so might result in delays. Before uploading the logos, graphic designs, pictures and other copyrighted artworks, please make sure you have the copyright or you are authorized to use the images or files you upload. China-Flag-Maker will never be responsible for any infringement act. Acceptable file types include PDF, AI, EPS, PNG, TIFF, JPG, and SVG, among which AI and PDF are highly recommended. Files must be the same exact size as what is ordered. The minimum resolution of images should be 96dpi and at 100% the physical size of the output. The higher-resolution artwork files are preferred, and 200dpi image is good for print. •If you have some special fonts in your graphic, please outline all fonts or curves before uploading your artwork. •For some thin and small lines that are impossible to print out, we might make the font bold. •Please use letters and numbers to name the file, do not use symbol and special character. •The maximum size of the file should be 200M. If you have much larger files, please contact our customer service representatives. Artwork must be created using the provided templates. Our artwork templates include all the necessary measurements and bleeds. Do not use any spot colors in your artwork. If you have specific colors in your graphic, they may require adjustments before we can print them accurately. Do not put any notes, comments, or additional instructions in your file. Only include the graphics to be printed. All your uploaded artwork must be vector files. If not, please contact our customer service reps to place the offline order. Once your graphics have been received by our Graphics Department, we will review your files in the quickest possible time to ensure that your artwork has met the requirements to produce the best quality output graphics. We will send an electronic proof in PDF format so you can see or show your client how the final project will look. We guarantee that we will not start any print work until having the final approval. If you only have bitmap files, you need to contact our customer service representatives, and our graphics professionals will help you with the print-ready artwork. 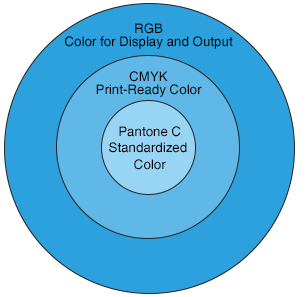 We use CMYK mode only. Please convert your files into CMYK prior to uploading. If not, our staff will convert your original file into CMYK mode and label Pantone C as the color matching. (PANTONE MATCHING SYSTEM is used for design, print and other industries where accurate color is crucial) The conversion may cause the slight color difference. We cannot guarantee a 100% color match but will try to get as close as possible.